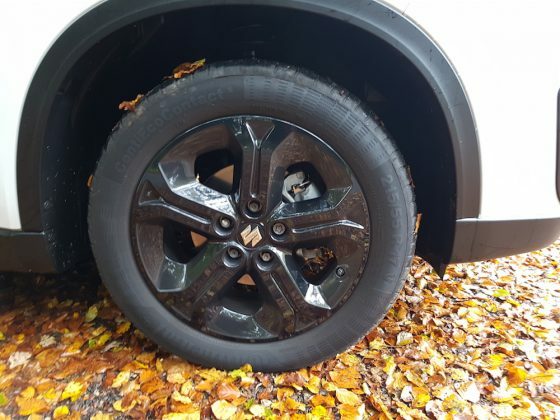 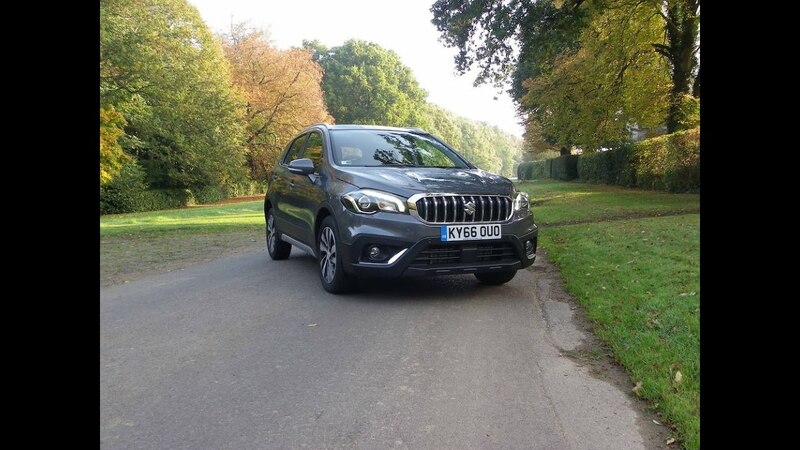 Last week I tested the Suzuki S-Cross and I thought it was decent enough but still not quite there in regards to being able to really compete in the SUV market. 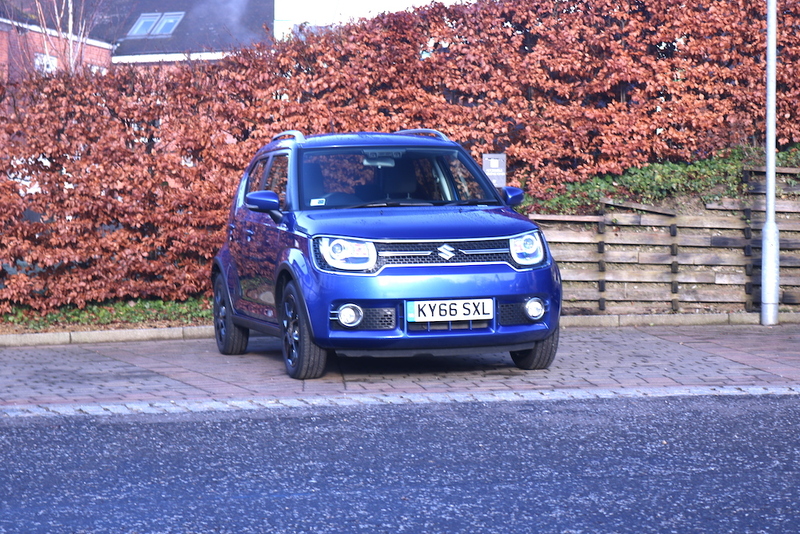 The looks are still a bit generic which puts it at a disadvantage when it’s sold alongside the Vitara, a car which I think has more character if you ask me. 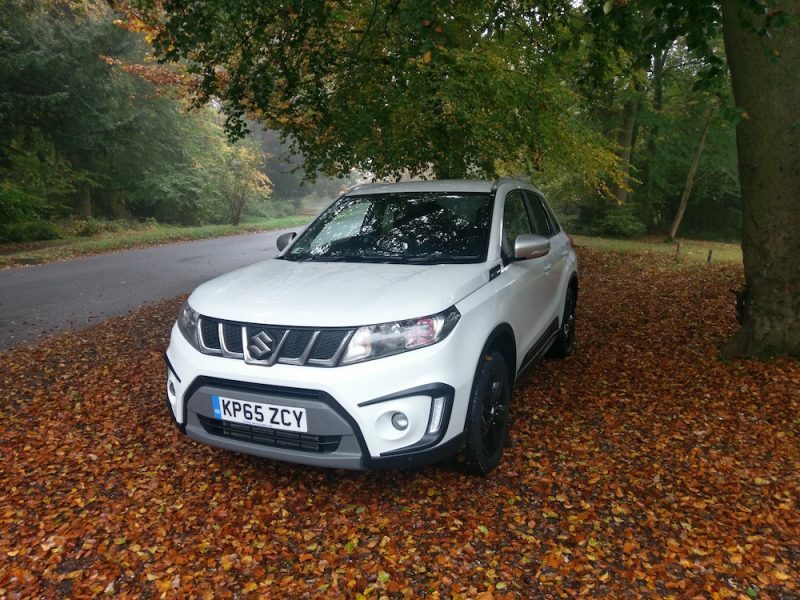 The model I’ve been testing this week isn’t just any Vitara though, this is the Vitara S, a sportier model with more flair. 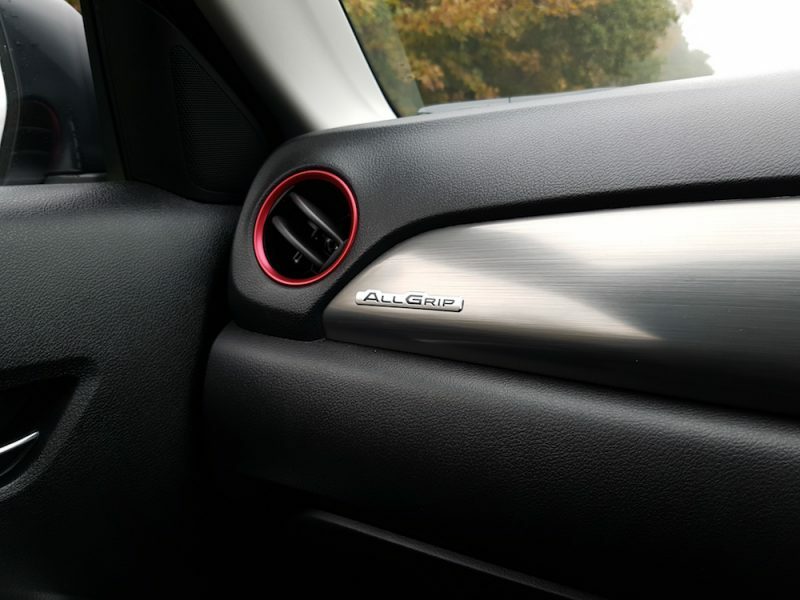 If you’re expecting something to properly rival the Nissan Juke Nismo however, you may need to look elsewhere. 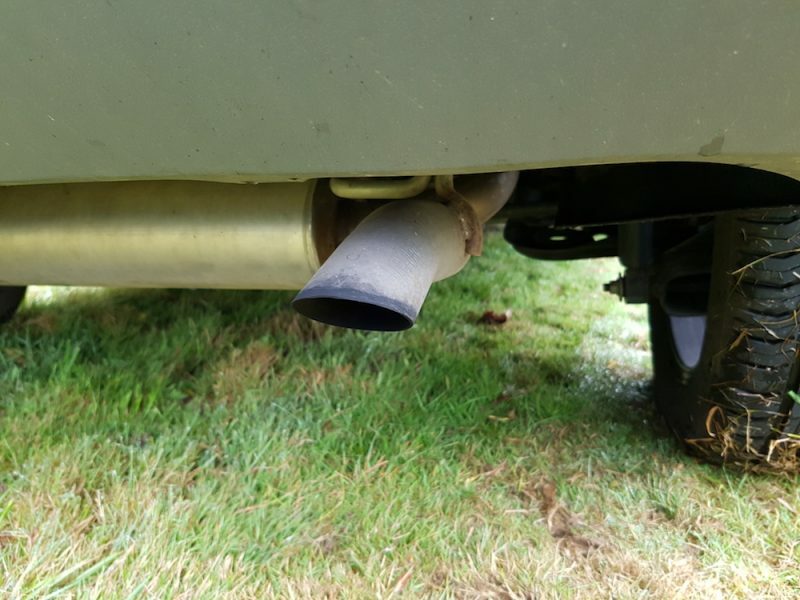 That’s not to say the Vitara S is sluggish though, read on and you’ll find out what I mean. Whilst the S-Cross is still a bit ‘generic’ in my opinion I like the styling of the Vitara, it looks fun and inviting. The Vitara S adds a sportier edge of course though, this means features like a model-specific front grille, rear spoiler and black alloy wheels which look fantastic with the Cool White Pearl metallic paint applied to my test model. The inside is thankfully more inviting than that of the Baleno and S-Cross, the first thing you’ll notice is the leather and suede seats with red stitching. 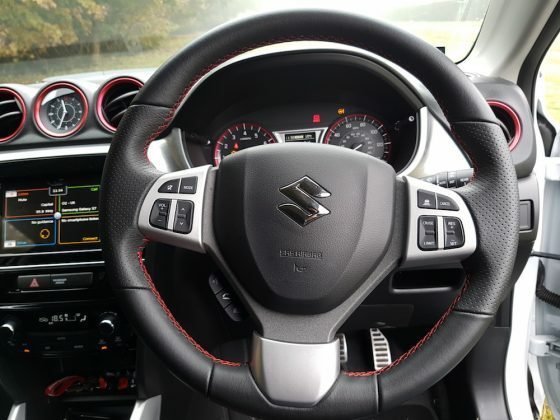 The red stitching also extends on to the gear lever and steering wheel which are also trimmed with leather. 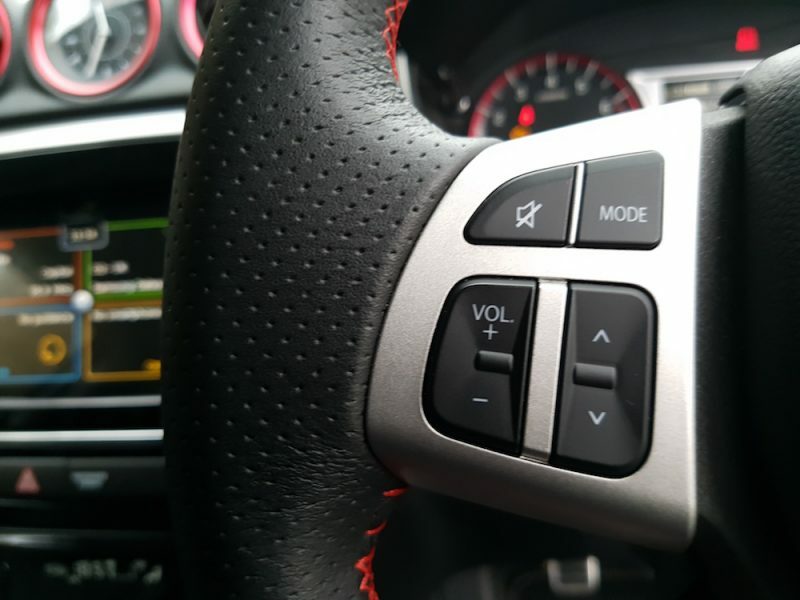 Once you’re in the driver’s seat, peek down and you’ll notice the driving mode selector your left and the aluminium sports pedals finishing the sporting touches. 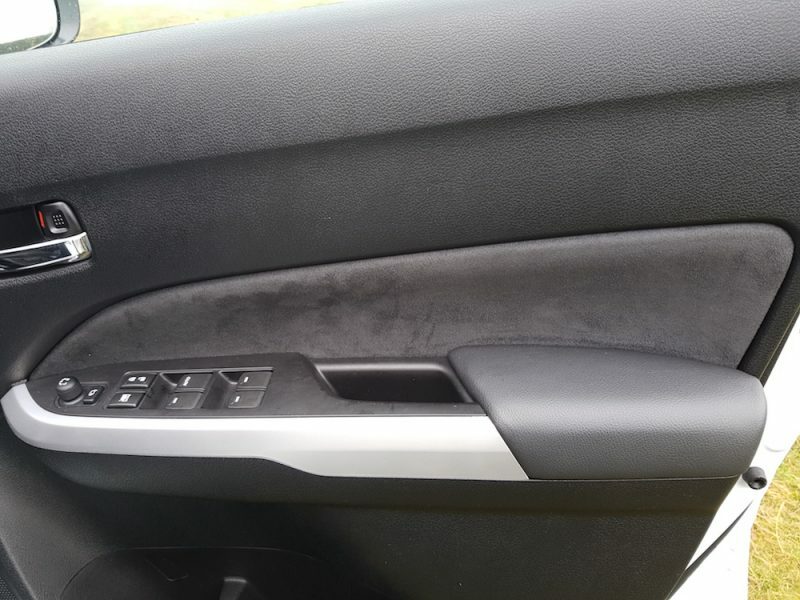 Yes, there are some hard, scratchy plastics inside but I’ll forgive it for that as the interior as a whole is more attractive than other Suzuki models although some may want better quality for the £21,749 asking price. I’d be inclined to agree with them up to a point but the interior is pleasing although I think that cheap clock on the dash needs to be scrapped. One of the weaknesses of the S-Cross was rear headroom and whilst it’s better in the Vitara S, I did find the rear legroom tight so taller occupants like myself may find it difficult to get comfortable on long journeys. 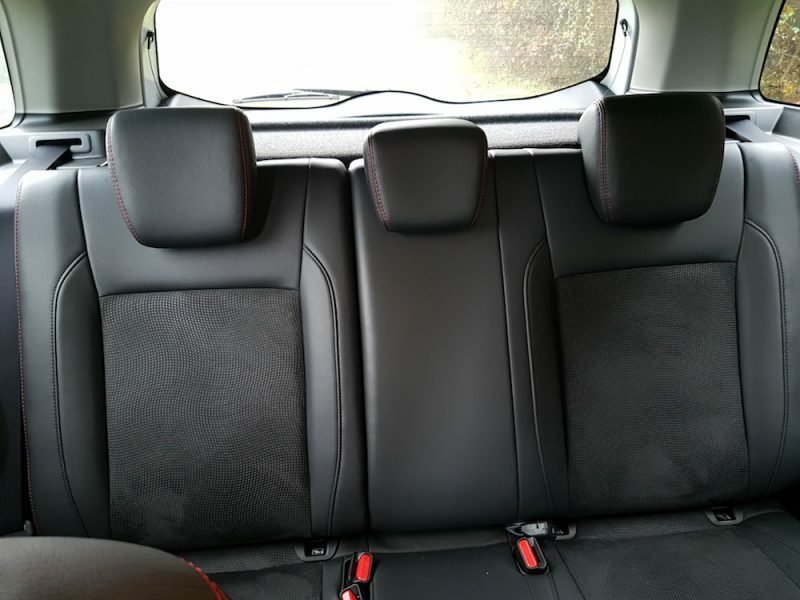 Talking of long journeys, I did find the driver’s seat a bit firm for long journeys but I wouldn’t describe it as a major complaint. The suspension is firm like the other Suzuki models I’ve tested although this is a sportier model so that’s to be expected. The car is not uncomfortable however but the firm ride may put you off although I imagine buyers will expect this and be prepared for this. 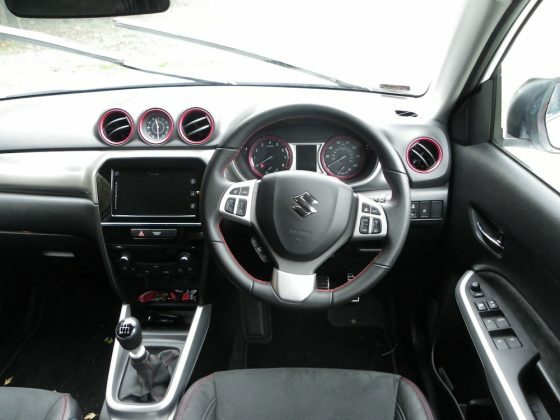 Finding a good driving position was a doddle in the Vitara S as the steering wheel adjusts for rake and reach plus the seat has a good level of adjustment. 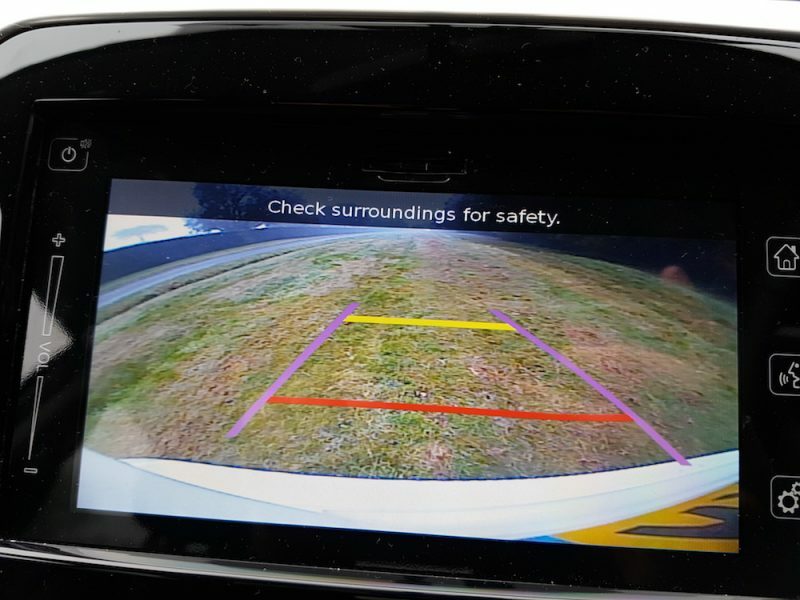 Visibility is good but in case you have difficulty parking there are parking sensors and a rear facing camera to help you park hassle-free. 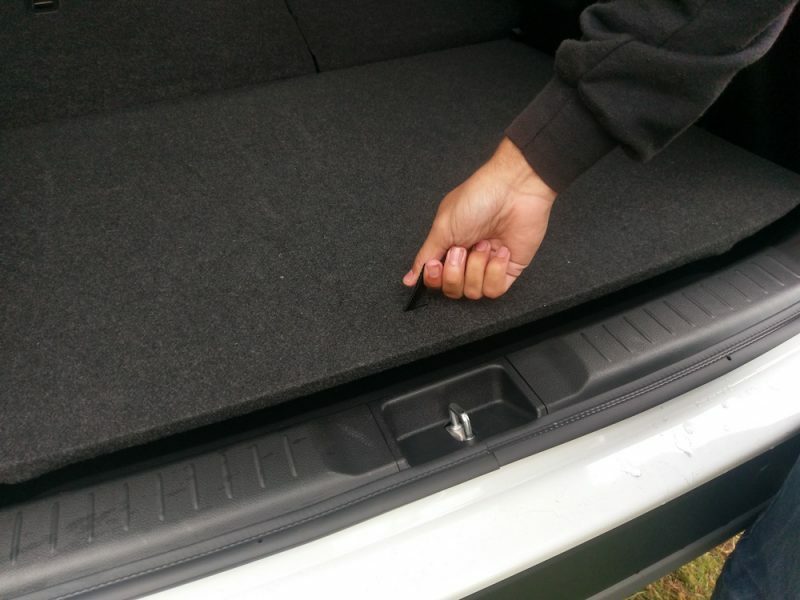 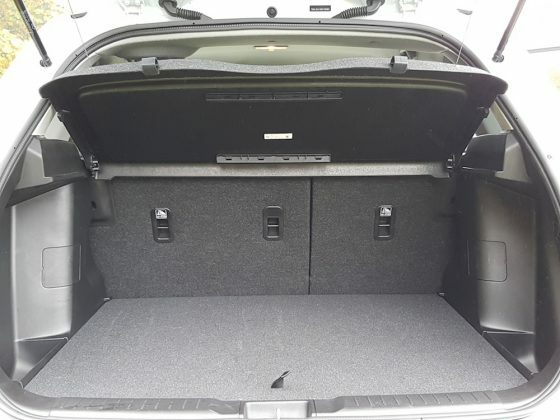 The boot is able to offer 375 litres (better than the Juke) which can be increased to 710 litres (worse than the Juke). 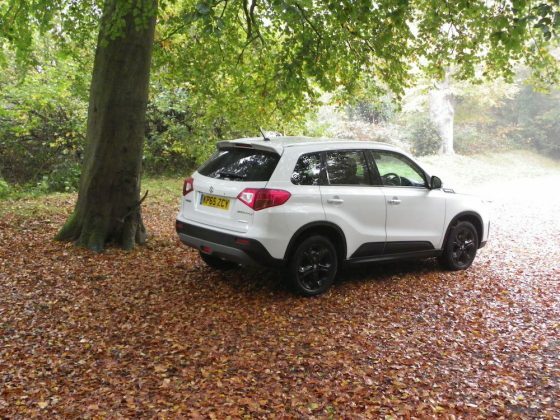 It’s not bad, but it’s not class-leading, however, the boot is on two floors like the S-Cross and Baleno which could prove to come in rather handy. Fun, to put it simply. There is just one engine on offer in the Vitara S, a 1.4 litre Boosterjet petrol producing 138bhp and 220Nm of torque. 0-62 comes in 10.2 seconds and the top speed is 124mph, so it won’t give hot hatches – or the Juke Nismo for that matter – any real problems. 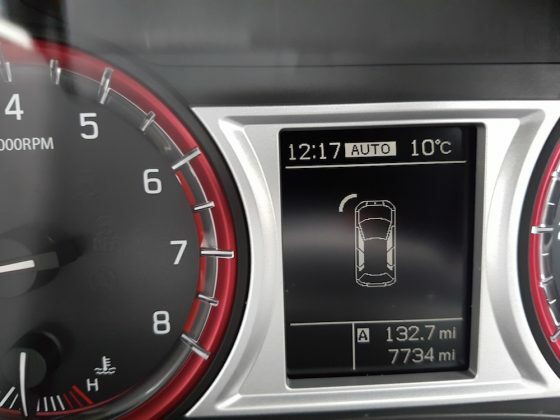 Having said that, the 1.4 unit is able to make good progress and using the slick 6-speed manual gearbox is a real joy. 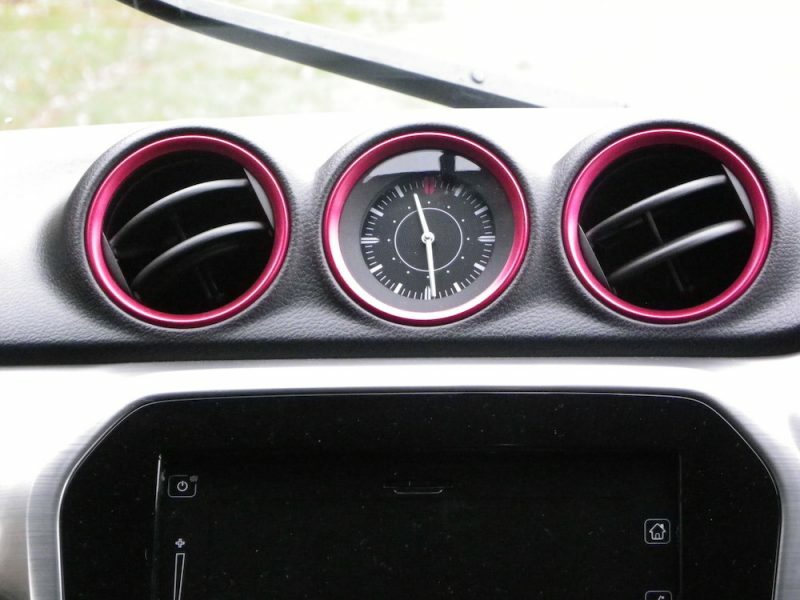 It makes a mechanical clunk which I really enjoyed although it may not be to everyone’s taste. 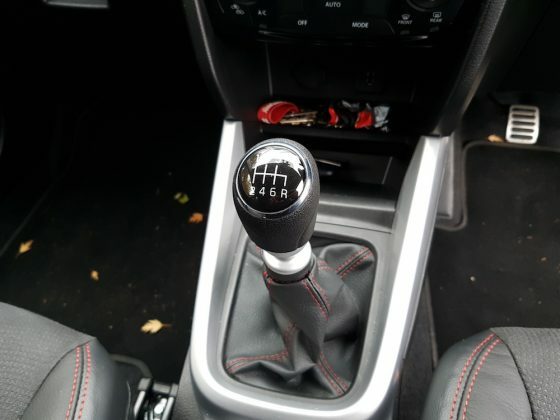 There is also the option of a 6-speed automatic which will cost £23,099 if you’d prefer that instead but I’m biased towards the manual and as this is so pleasurable to use I’d definitely opt for this. 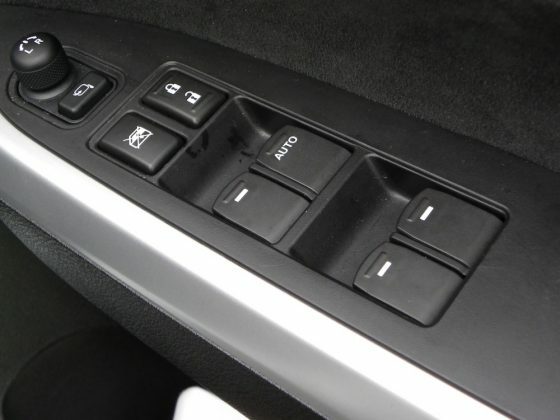 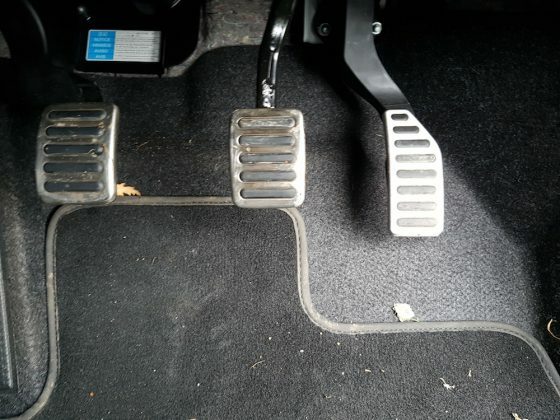 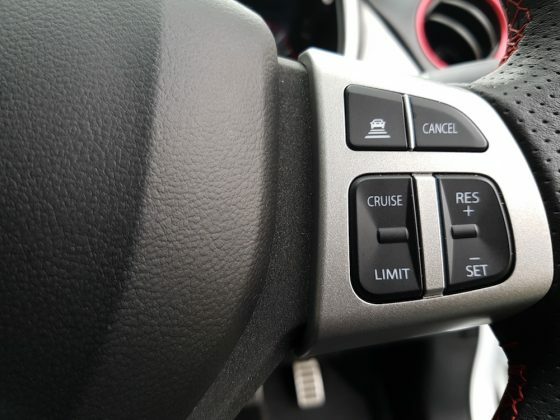 Whichever gearbox you choose though, you’ll get Suzuki’s Allgrip four-wheel drive system as standard which will become apparent when you see the ‘Snow’ driving mode on the drive selector. 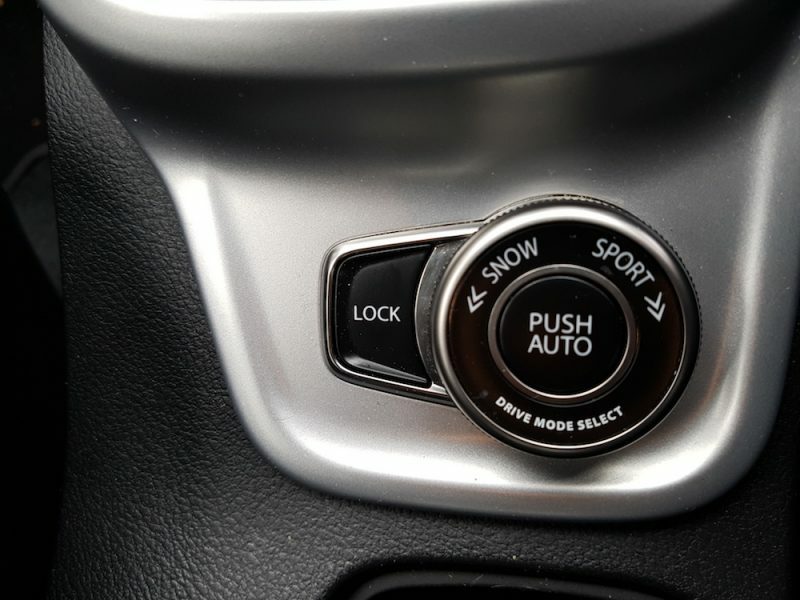 Speaking of which, three modes are on offer here- Snow is joined by Auto and Sport which are both self-explanatory. You’ll want to spend most of the time in Sport as the car comes alive and the throttle becomes more responsive to give a more dynamic ride. 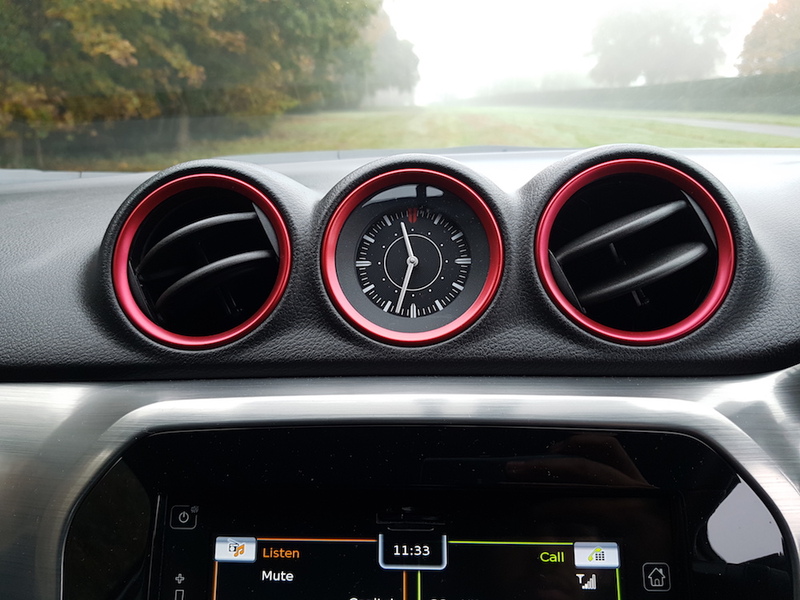 I’ll be honest the steering could do with being a little heavier and it felt practically the same in sport as it did in Auto. 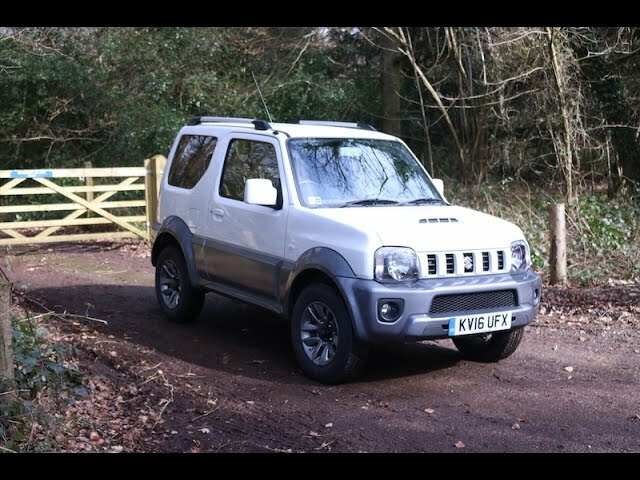 The handling was able to make up for that though and there was little body roll, making it rather good fun in the corners. 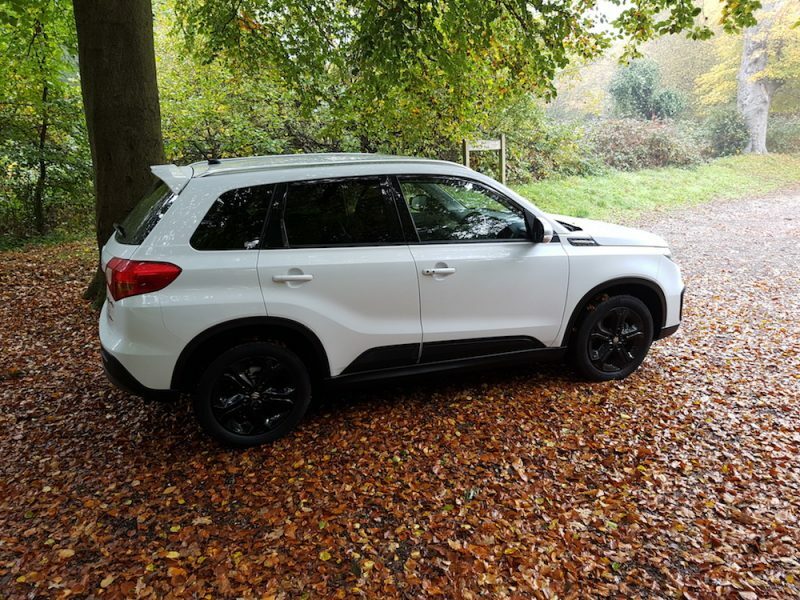 Like other Suzuki models, the Vitara S comes with a generous amount of kit for the asking price and I doubt there is much more one could possibly want. 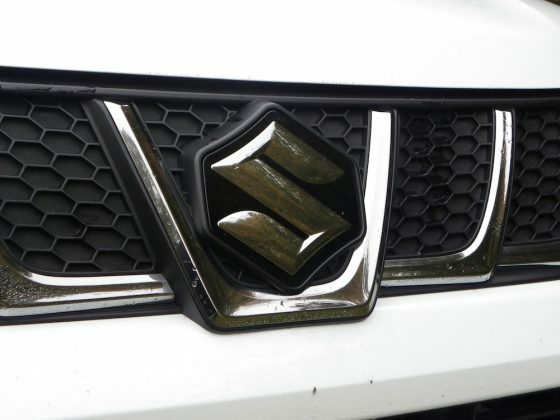 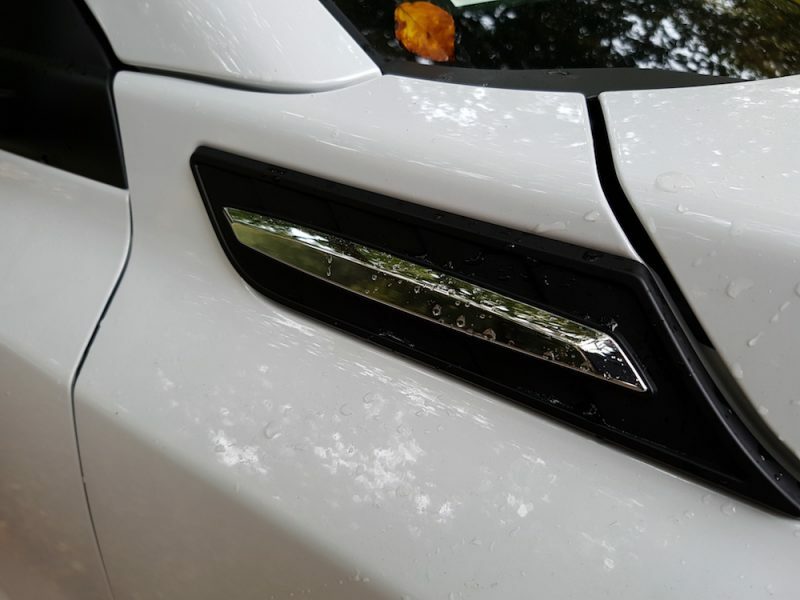 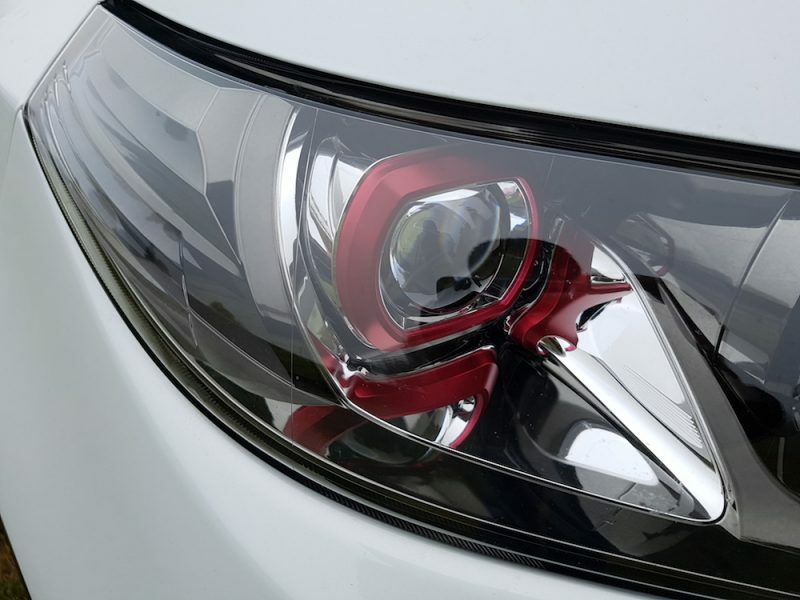 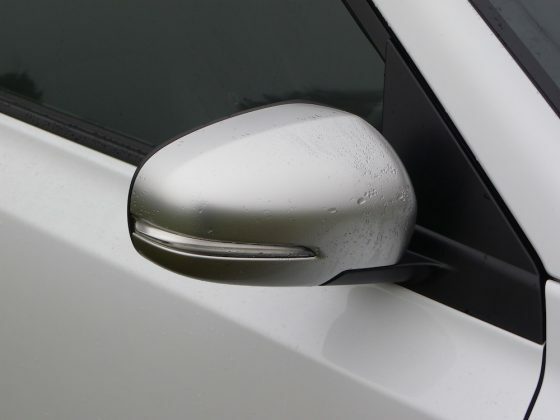 The brilliant LED headlights from the Baleno and S-Cross are present on the Vitara S and are once again automatic – as are the wipers. 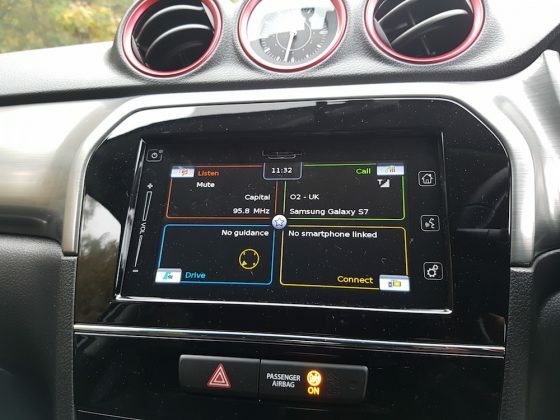 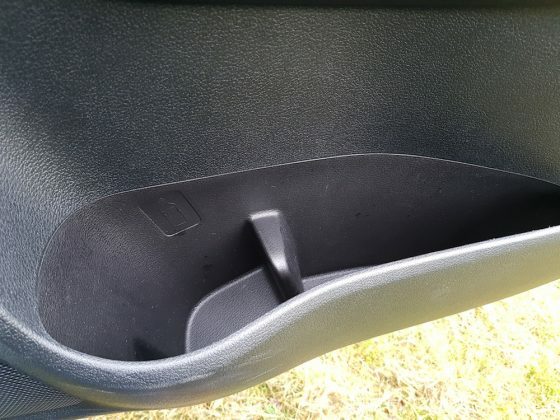 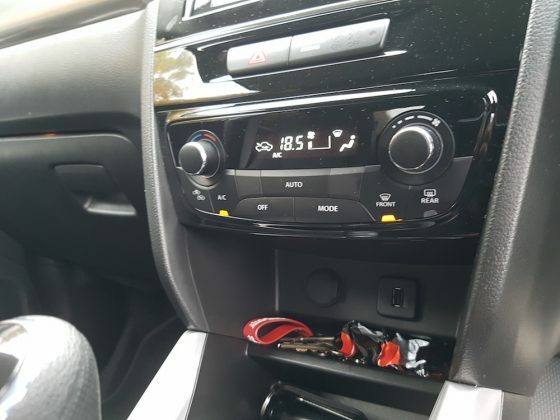 Other features include keyless entry, automatic air conditioning, sat nav, DAB radio, Bluetooth and smartphone connectivity, autonomous emergency braking (AEB), cruise control, electric windows, rear facing camera and front and rear parking sensors. I’m sure you’ll agree that’s a lot and it all works well, although the AEB is a little too skittish and too eager to cut in. 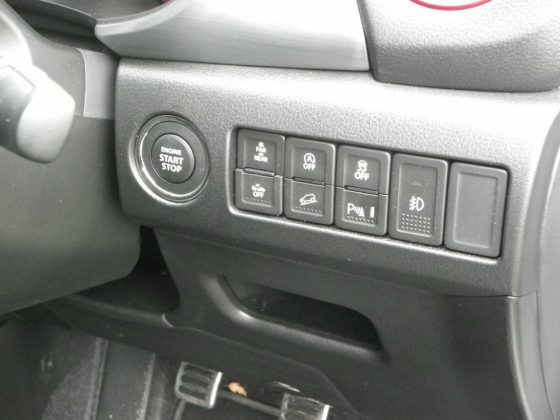 As mentioned earlier, the hill descent control also works well although it wasn’t tested too strenuously. The infotainment system works well and it’s easy to use as are the other features on the car which are well laid out in the cabin. 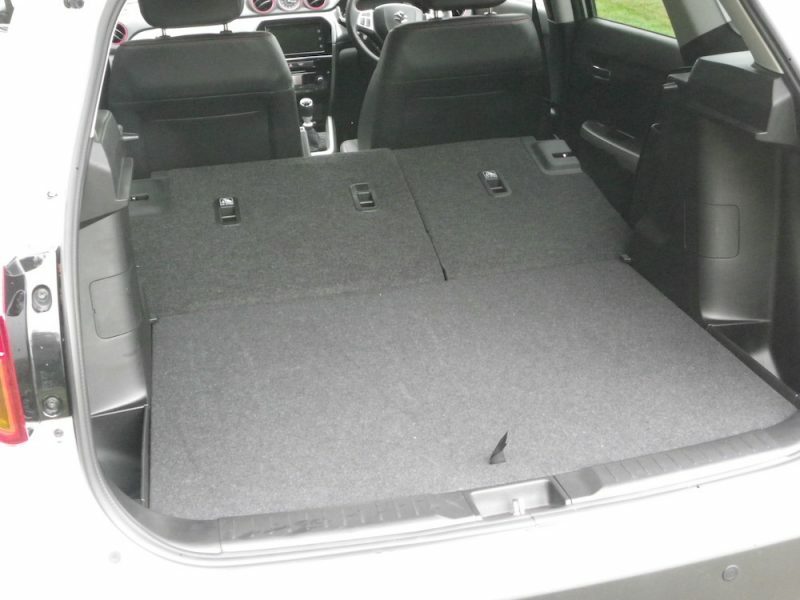 It’s safe too, thanks to inclusion of no less than seven airbags as standard. 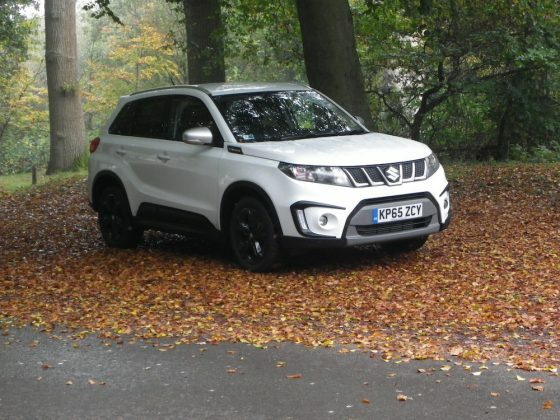 With this being a sporty model, buyers may not be overly concerned about economy but the Vitara S shouldn’t leave owners forever at the petrol pumps. 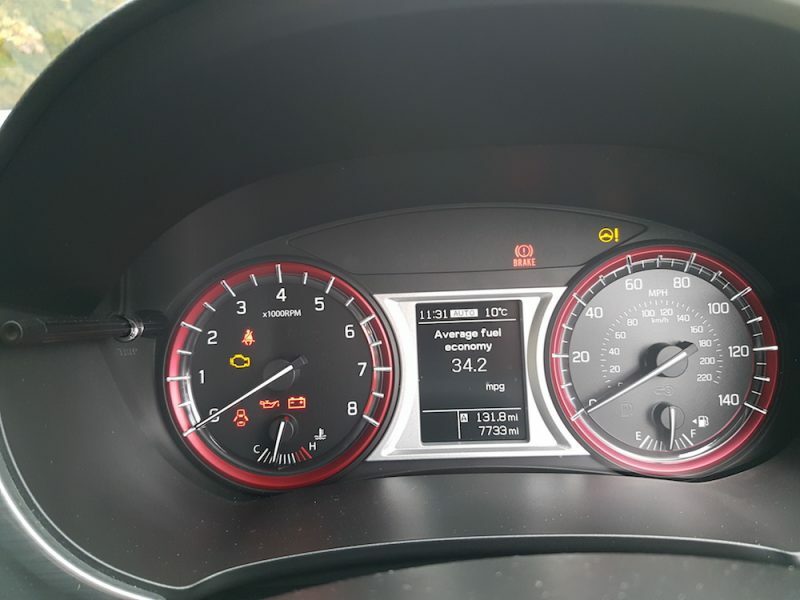 52.3mpg is the official figure for the combined run and in my experience I found the best I could muster was 42mpg and that was driving sensibly in Auto mode. 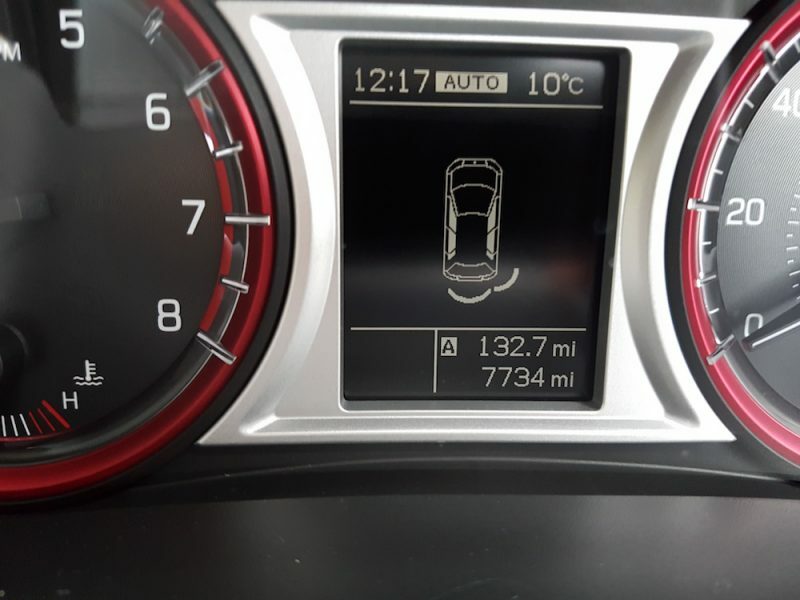 In and around town i was able to get around 33-36mpg whereas the official figure is 44.8mpg. Out of town I was able to get a maximum of 47.5mpg which is almost 10 less than the 56.5 official figure. CO2 emissions come in at 127g/km (128 for the automatic) and road tax comes in at £110 per year. 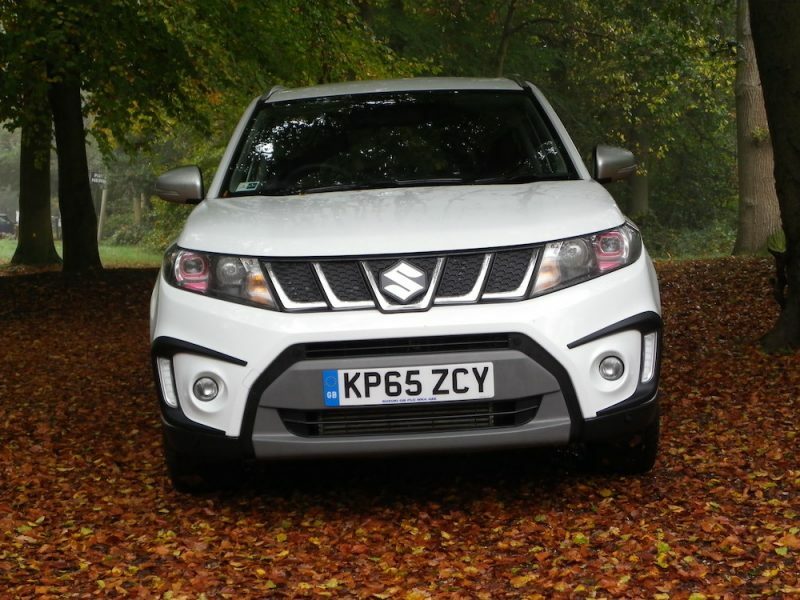 So although the Vitara S is slower than the Juke Nismo, it does offer better economy and should provide cheaper ownership. 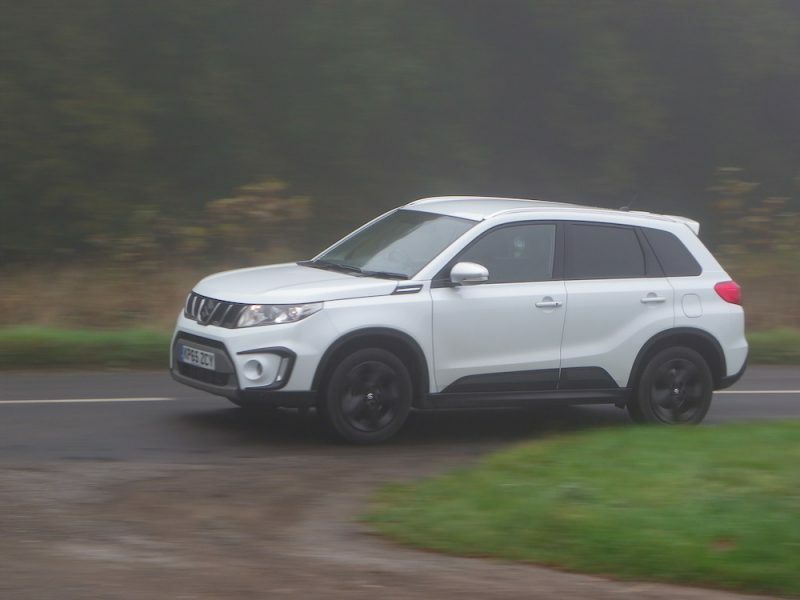 There’s a lot to like about the Vitara S and it has a fun likeable character. 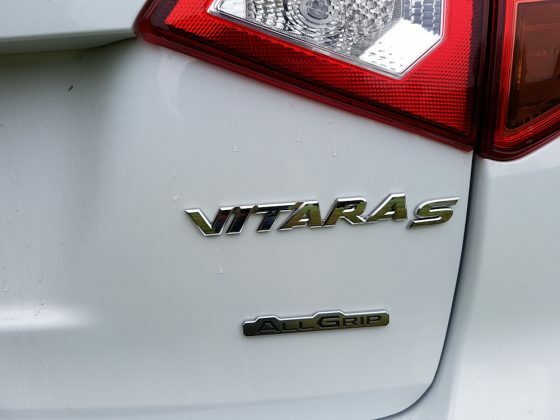 It handles well, the 1.4 litre unit gives zesty performance, the gearchange is slick and the kit specification is pretty ample. 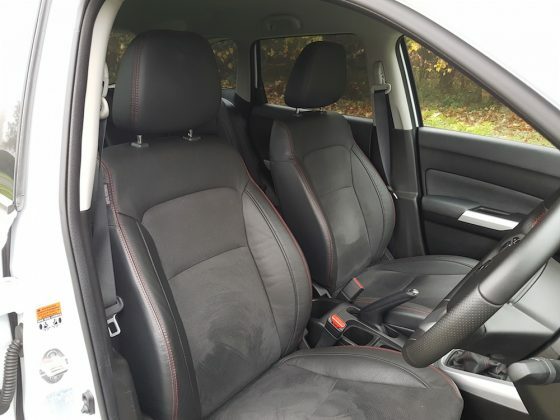 I’ll be honest, there isn’t a lot I could find wrong with the car although for the price I would like the interior plastics to be a bit more premium but other than that nothing major sticks out. 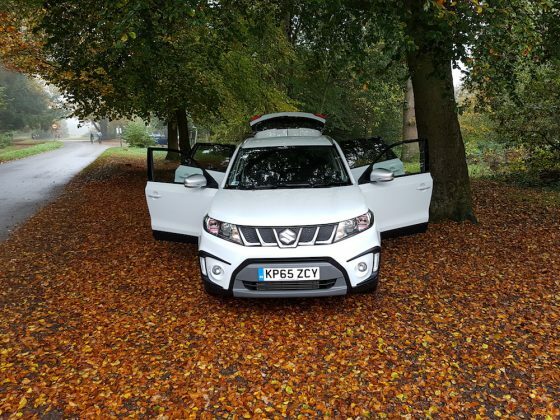 So if you’re looking for a well-priced sporty SUV which won’t cost the earth to run whilst offering fun driving dynamics the Vitara S could well be for you.